— In January 2018, the James A. Michener Art Museum will present Magical & Real: Henriette Wyeth and Peter Hurd, A Retrospective, a major exhibition that explores the work, marriage, and careers of two remarkable artists who contributed to the canon and dialogue of 20th century American art. Co-organized by the Michener Art Museum and Roswell Museum and Art Center, the exhibition includes more than 100 works by Wyeth, Hurd, and family members—including Andrew Wyeth, Henriette’s brother, and N.C. Wyeth, her father—in the influential Wyeth sphere. The exhibition will be on view from January 21 through May 6, 2018. 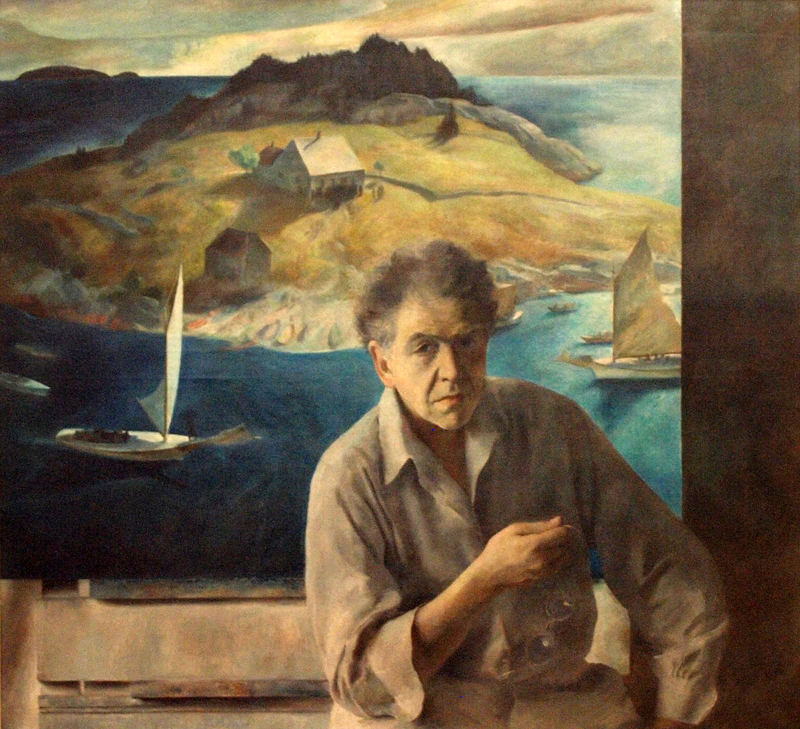 Portrait of Peter Wyeth Hurd (1937) by Henriette Wyeth, El Paso Museum of Art, El Paso, Texas. Henriette Wyeth (1907–1997) and Peter Hurd (1904–1984) were important contributors to the arts of both the Philadelphia region and the Southwest. Henriette studied with her father and at the Pennsylvania Academy of the Fine Arts, where she enrolled at the age of sixteen. She quickly earned critical recognition for her luminous and lyrical large-scale canvases of psychological presence and magic, and local recognition for her talent as a portraitist. But when she moved permanently to Roswell, New Mexico in 1940 (and her studio became Andrew’s), she was largely forgotten. 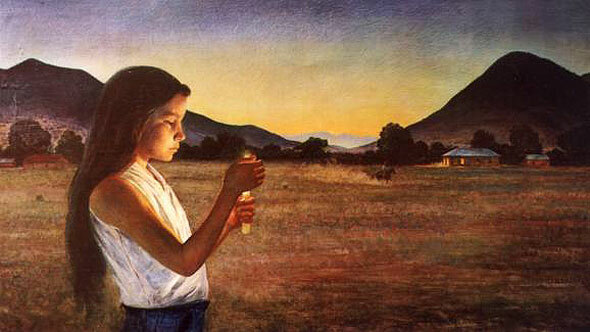 Peter Hurd, a native of Roswell, became a pupil of N.C. Wyeth’s in 1924. While studying with N.C., he met Henriette. Hurd was a significant artistic influence in the development of N.C. and Andrew’s practice; he introduced them to tempera, which became Andrew’s medium of choice. 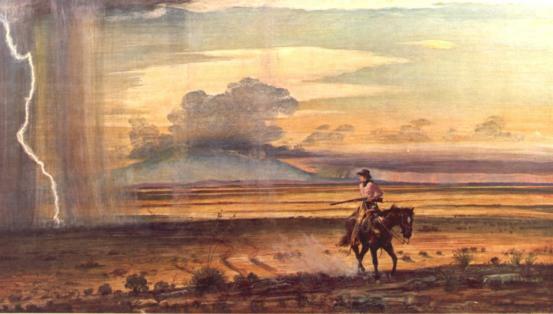 Hurd painted a number of Pennsylvania landscapes, but it is the impressive vistas, stark rolling hills, and dramatic light of the Southwest for which he is best known. Magical & Real includes more than 100 works, most of which have been in private collections since they were created and thus have not been seen in public. After being on view at the Michener Art Museum, the exhibition will travel to Roswell, where it will be on display from June 15 to September 16, 2018. Co-curated by Jensen and Sara Woodbury, Curator of Collections and Exhibitions at Roswell, it will be accompanied by a richly illustrated scholarly catalogue, with essays by Jensen and Woodbury as well as additional contributors. “In addition to the works coming from private collections, several pieces in the exhibition come from the Roswell Museum and Art Center itself, so this is a great opportunity to share our Hurd and Wyeth collection with new audiences,” said Woodbury.